Esino Lario stepped out of Varenna’s shadow and gained world-class popularity when the Wikipedia community chose it as its conference center in 2016. Esino Lario is a quaint, mountain town up in the hills above Lierna, and Varenna, small villages just past Lecco. It has lovely walking paths and gorgeous views of Lake Como and the surrounding Alps. The buildings are mostly rustic stone mountain chalets with groomed wild flower gardens and there are antique churches such as San Giovanni Battista, San Vittore, and nearby the charming chapel, La cappella di San Pietro in Ortanella. 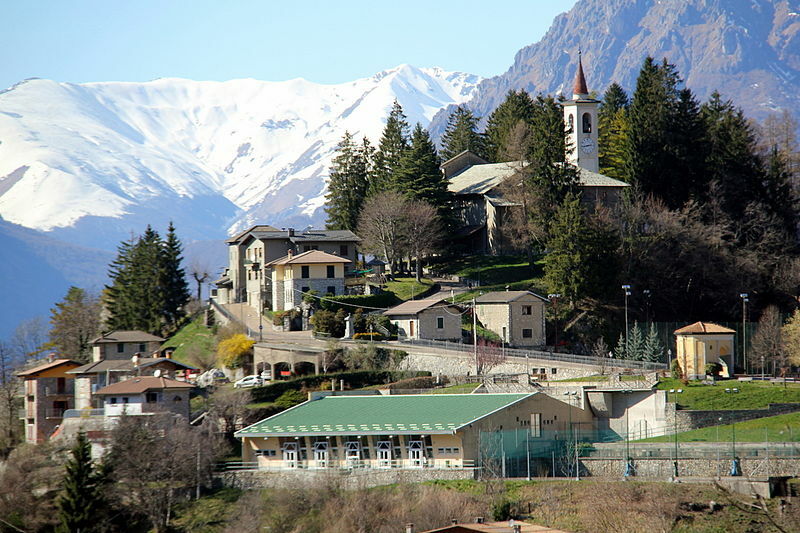 In Esino Lario, don’t miss the Museo delle Grigne, a tribute to Antonio Stoppani, Italian geologist who studied in depth the geological formations and history of these pre-alp territories during the mid 1800’s. The museum holds a vast collection of minerals, fossils, and documentation as well as an extraordinary collection of Italian butterflies. Esino Lario is close to Varenna as well as the city of Lecco, where you can find restaurants, pubs, and shopping. Esino Lario has some local accommodation: Holiday Home Ontragno, The Centrale, The Cacciatori and The Cainallo – but rooms are go quickly so you could stay nearby in Mandello del Lario at the Hotel Albergo Grigna , Mamma Ciccia B&B or in Abbadia at Contrada Lunga (Abbadia Lariana). Varenna has upscale hotels and is a charming and romantic little town, the perfect place to mix business with pleasure. The Hotel Royal Victoria or the Hotel Villa Cipressi are excellent choices. Lecco Hotel Lungolago is a 10-minute walk from the Lecco Train Station. From Linate or Malpensa airports take the airport bus or train (Malpensa express) to Milan Centrale train station, then take a train on the Lecco-Tirano-Sondrio line and get off at the Varenna-Esino station. There is a bus service up to Esino Lario. From Bergamo Orio Serio airport go to the Bergamo train station and get the train to Lecco. You will have to then change to a local train to Varenna-Esino. Note: You must validate your train ticket or else you risk a fine. Validate tickets with the time stamp machine at the train track or ask a train official. SS 36 to Lecco, exit at Lecco Valsassina -take the SS 36 up to Ballabio, then toward Taceno up to Cortenova Valsassina. From there follow the signs for Esino Lario (a beautiful, scenic road). In order to preserve the information about Esino, it was edited. I admit, I am not an active contributor to the wiki content but I am an active donor– if you use Wikipedia, or any of the other Wikimedia Foundation resources, donate! For the price of a fancy, frothy coffee you can help sustain one of the most useful cultural and educational resources available. Wikimania is the annual conference celebrating Wikipedia and its sister free knowledge projects with conferences, discussions, meetups, training and a hackathon. Hundreds of volunteer editors come together to learn about and discuss projects, approaches, and issues.